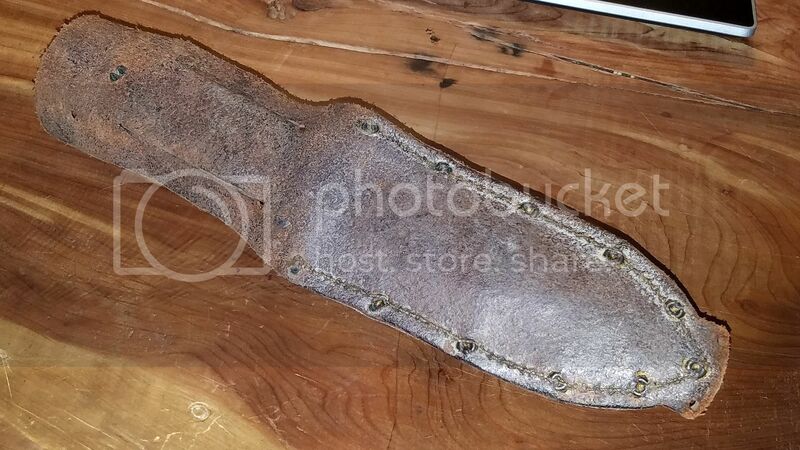 Bushboot for sale. Not sure but I believe the scales are micarta. Tapered tang. like new. $250 shipped CONUS. Sorry no trades. Scotcha, Wondering Wildcat, Nbrackett and 3 others like this. Price drop to $300 for the Bushboot with Desert Ironwood handles with orange liners on post #13340. Very good looking combination. I am asking $215. That covers shipping and paypal fees. I would also trade for a FF Kephart. I would prefer 1/8" or less blade thickness. I have up for sale a W.A. Surls Bobcat w/ natural canvas over natural with yellow pinstripes 1/8" A2 steel. Only carried a few times, it is in great shape. I have sharpened it once on my Wicked Edge sharpener. It is sharp. I am looking to get $160. That covers shipping via USPS priority mail. Wondering Wildcat and Nbrackett like this. mmmotorcycle, Andrew315, hasco and 3 others like this. varga49, schmittie, Scotcha and 4 others like this. Southern Gent, varga49, Kal-El and 6 others like this. NUTRAMAC, Odaon, hasco and 3 others like this. catalystman80 and Wondering Wildcat like this. Excellent Condition Bow Legged Joe w/ Green herringbone over natural w/ lime pinstripes, Tapered Tang, convex on 1/8 spalted 01 steel with RLO sheath one side of the belt loop has been clipped off. $295 and I'll cover shipping in the U.S. Paypal please. 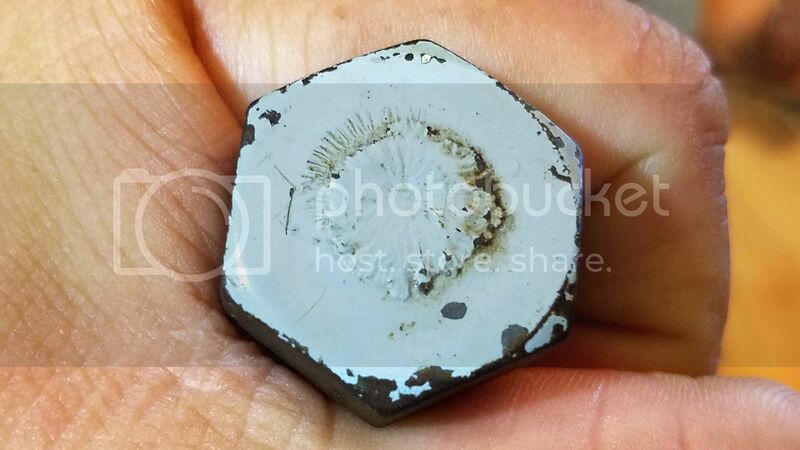 Link to Pictures, sorry I'm not sure how to get images on here. Can you send me more photos of #8 to my inbox or [email protected] THanks!! WAS Sawnee For Sale $280 covers shipping CONUS only, USPS. Osage A2 1/8" Convex SFT, Natural on White Pinstripes. Never carried or used, purchased new. PayPal Please. Oyster and Nbrackett like this. I picked this up from Phillip (M4Super90) a few weeks ago. I have an opportunity for another project and I need to recoup some quick funds. 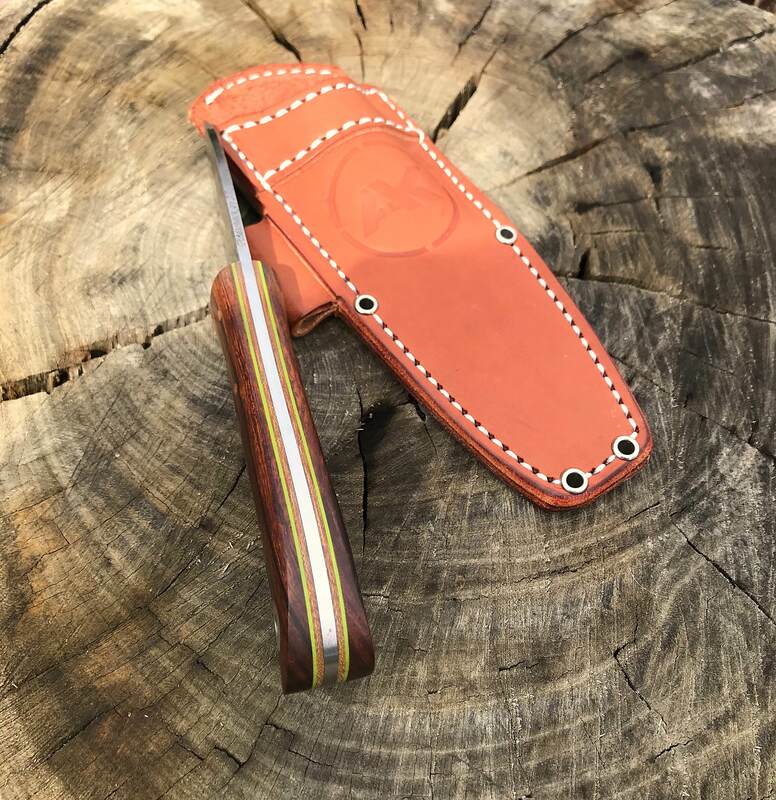 I'm actually selling a little below the super deal Phillip gave me plus I'm throwing in a "Patriot Leather" (Superb quality) sheath (NO firesteel) to help expedite a fast sale. This is an absolutely killer deal. The sheath is a little large due to the tapered tang so I used a couple pieces of moleskin inside the sheath to tighten retention. I use it in all my sheaths to adjust retention. Completely removable. Choppaman, SLOsmokin, Nbrackett and 2 others like this. Don’t really want to sell, but I have to. Have had this beauty for about a month, I’m the first owner. 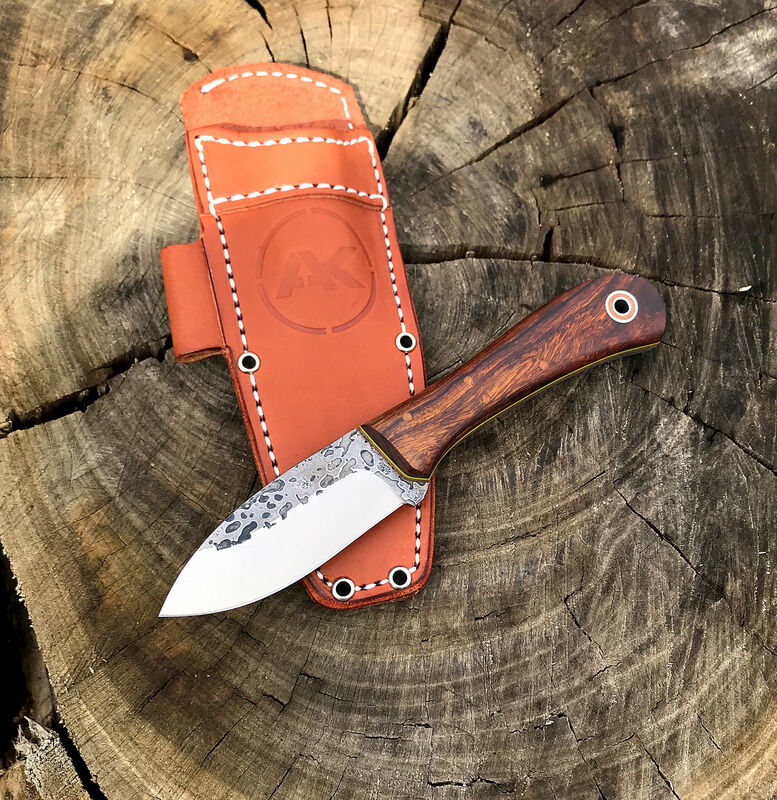 Fiddleback Forge EDC ii in Desert Ironwood with natural canvas and toxic green liners. A2 Steel. 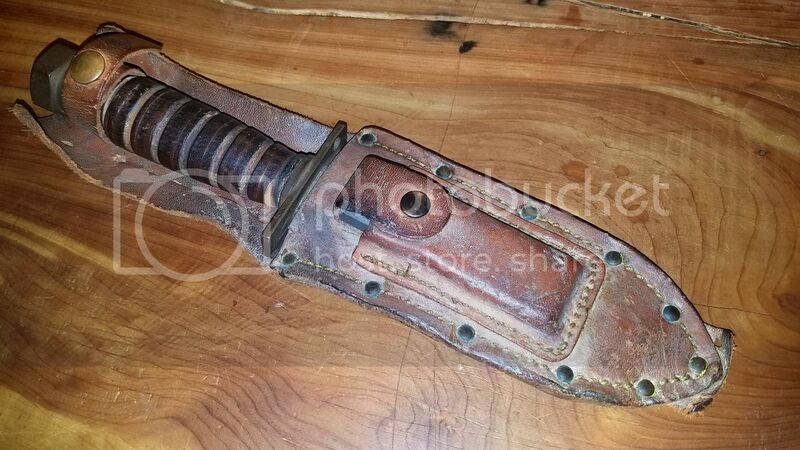 Paid $330 will let it go for $275 and include (one) sheath. The one in picture 3. US and Paypal (Goods) only please. No trades. I’ll cover shipping and fees. Claim it here and follow up with a PM please. 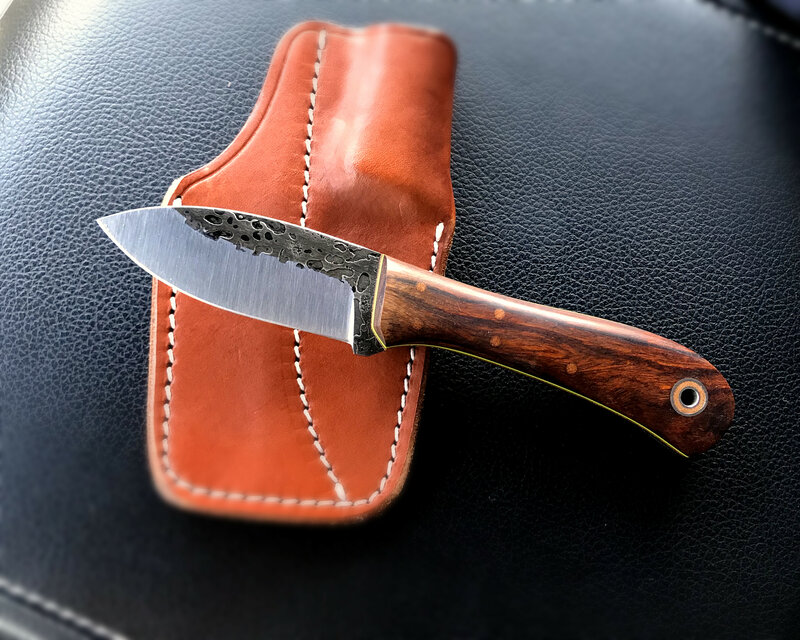 I'm looking for a Fiddleback Bear Paw Bushcrafter. If you have one that you'd consider parting with, please PM me or email me at "[email protected]". Thanks much. I have a few things for sale today, older items. If you have read the recent thread I posted, "A Long Interesting Day" then you already know why I'm selling them. If the pics don't show up, try quoting the post to view them. There has been a glitch with BF lately and the pics usually show up then. I am open to the idea of negotiation, so if you have a reasonable counter off PM me and we can discuss it. The first up is a piece of W.A. Surls knife making history that I have had for 5 years now. One of the earliest Bush Adder models. It is made from 1/8 O-1 tool steel, hollow ground, tapered tang, and natural G10 over black and lime pin strips. 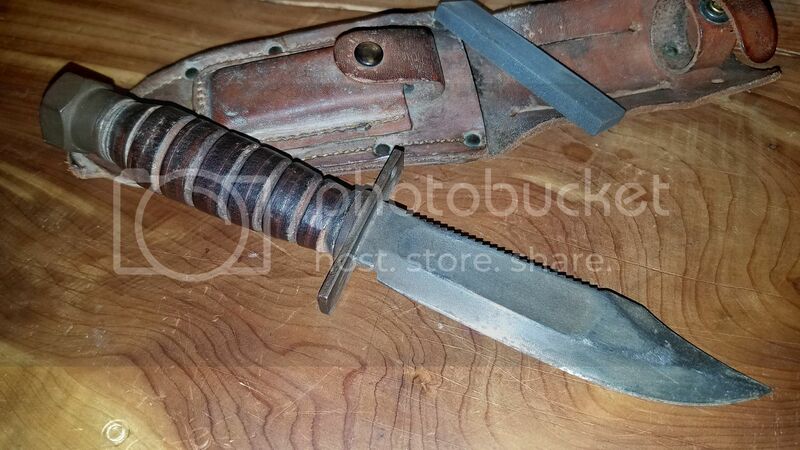 It comes with two sheaths that Allen made (I don't think he does this anymore) specifically for this knife. One is leather with snake skin inlay, and the other is kydex. A few Fiddleback's FOR SALE! New/Never carried and never used unless otherwise indicated. I am the first owner. If you have any interest, claim in a response with "I'll Take The (knife description) or DM for additional information that you may want. All prices are NET to me. Pay Pal Friends/Family or add 3% to listed price for Goods/Services. 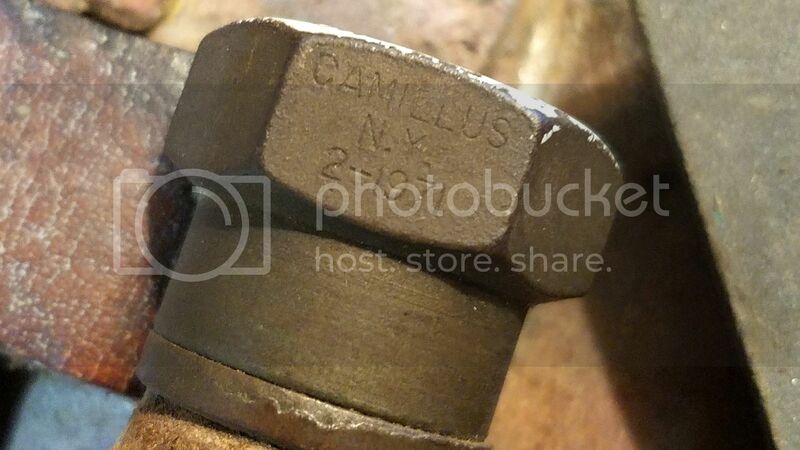 I will ship free priority ConUS. Will ship internationally if buyer pays for shipping and insurance. No Trades. these do not come with sheaths. 2017 0602 01 – Pygmy w/ black canvas & navy burlap(COMMANDO), no liners & no pinstripes, SFT, convex on spalted 3/32” A2-SOLD carried a few times, never recall using though. Lady1911, SLOsmokin, Warrior108 and 1 other person like this. Since things are of a time sensitive nature for me, I dropped two of the prices in post 13396 by $50. I still haven't picked up the Woodsman yet, so I'm still not sure on it yet. I would like to purchase your Rapscallion @mistwalker and I promise to take good care of it. Choppaman, Oyster, Lady1911 and 1 other person like this. Thank you Amanda! And thank you for looking after it!